Secretary of Transportation Shannon Valentine has announced the launch of the Interstate 95 Corridor Improvement Plan. 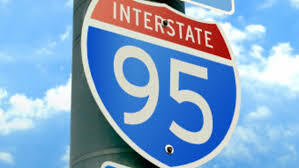 The Commonwealth Transportation Board (CTB), supported by the Virginia Department of Transportation (VDOT), the Department of Motor Vehicles, and the Virginia State Police, will study Interstate 95 (I-95) to identify priorities as well as potential revenue sources that could be dedicated to improvements. Senate Joint Resolution 276 and House Joint Resolution 581 during the 2019 General Assembly direct the CTB to identify targeted improvements and incident management strategies for the corridor, as well as financing options for suggested projects. The I-95 Corridor Study will begin with public meetings to solicit community, industry, and stakeholder feedback throughout the spring and summer, with a draft plan report expected in late fall. The first public meetings will be held in the Fredericksburg District on May 9 and in the Northern Virginia District on May 13. The CTB plans to report its findings to the General Assembly in December, prior to the start of the legislative session in January 2020. The CTB also received updates from the Department of Rail and Public Transportation (DRPT) on next steps anticipated for Volkswagen Environmental Mitigation Trust funds dedicated to replacing heavy and medium-duty polluting vehicles with cleaner vehicles. Last October, Governor Northam announced that the Commonwealth of Virginia will invest $14 million, or 15 percent, of the Volkswagen Environmental Mitigation Trust to fund the deployment of all-electric transit buses across Virginia. Three transit systems have committed to converting all or a portion of their fleets to electric vehicles: Alexandria DASH, Blacksburg Transit, and Hampton Roads Transit. Staff-recommended projects in the Six Year Improvement Program (SYIP) include funding for vehicles and charging infrastructure. DRPT and the Virginia Department of General Services (DGS) are in the process of procuring electric transit vehicles under a statewide contract in order to streamline purchase and deployment of these critical assets. This allocation represents the first year of a three-year partnership between DRPT and the Virginia Department of Environmental Quality intended to facilitate the conversion of the transit fleet to clean fuels. In this month’s meeting, the CTB also approved one contract totaling $3.5 million. The design-build contract was awarded to Chemung Contracting Corporation of Mitchells for safety improvements in Fauquier County on Route 15/29 (Lee Highway) from approximately 0.63 miles south of the Prince William County line to the intersection of Route 215 (Vint Hill Road) in VDOT’s Culpeper District. This location has a significant crash history and consistently ranks as the top targeted safety need in the Culpeper District due to substandard stopping sight distance for northbound traffic. The project will cut two hills and regrade the northbound lanes to improve the sight distance on the approach to the Route 215 intersection. Completion is expected in fall 2019. Appointed by the governor, the 17-member CTB establishes the administrative policies for Virginia’s transportation system. The CTB allocates highway funding to specific projects, locates routes and provides funding for airports, seaports and public transportation.